I’d like to take you back… the year was 2006, even before I started writing this blog! 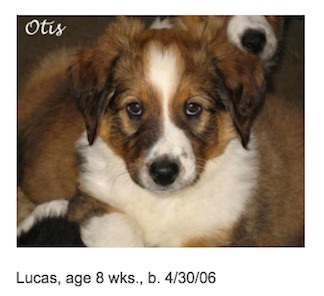 This handsome little guy came into my life… and many, many things changed. First of all, I fell deeply in love with my English Shepherd. I jumped into all things “dog”. Not that I hadn’t been a dog person forever, but I went to that next level… reading books on training, breeding, more training, listening to new friends and experts, following this guy around and taking picture upon picture. I wanted to be more, do more, know more, because I had my “heart dog”… and I thought he deserved it. Seven months in… we ran over him and things changed. I was very grateful for modern veterinary science. 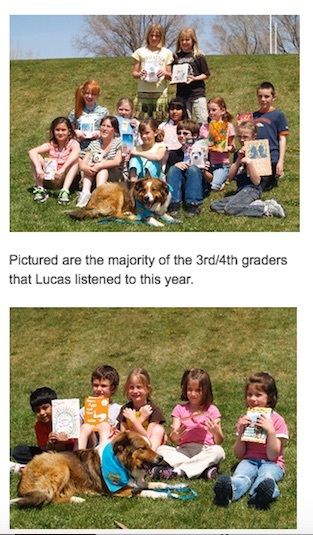 I learned more about breeding and therapy dogs (thinking his cowdog career wouldn’t be possible). Luckily, I had a great mentor in the English Shepherd community, and she put me in touch with a classic breeder in Oklahoma, who was willing to sell me her female. Before I really knew what was happening, or where it would lead me, I owned two wonderful English Shepherds, and my kennel name, Rimrock English Shepherds was registered. So what do you do when you raise a rare breed of dog and live in one of the least populated states? Well, you build a website. Basically, from scratch. OK, it wasn’t coding, but it wasn’t “drag and drop” back then either! Frustration, tears (ugh, with me there’s ALWAYS tears), and a few colorful metaphors later… my website was done. One of the bonuses of the website was a free blog platform, which I nicknamed “Overlook”. 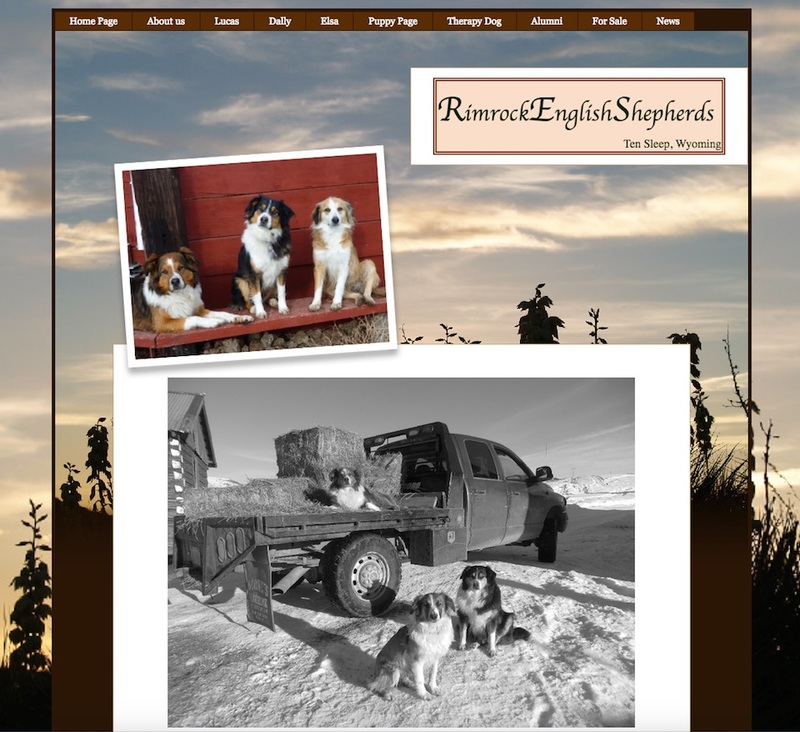 Rimrock English Shepherds has continued through the years, quietly sitting in the background, occasionally shipping people over to this blog. People still find me, looking for dogs, but, honestly… not that many. Red Dirt In My Soul has taken over like a Frankenstein full of pieces from here and there… I decided Rimrock’s website was getting old. So, not breeding English Shepherds any more? No, I’m breeding English Shepherds… I’m just saving money on a separate website. Thanks for posting those “old photos”. It made me think of a question to ask you: Did you teach school in the past? Do any of your daughter-in-laws or your daughter teach school? So you asked for questions the other day: now I am a bit confused about your blog. Will that continue??? I HOPE SO!!! I’ve been here since about 2006 or 2007 when I got Taffy. If it changes I sure would like to follow any new format. Thanks. This is how I found you and Raider. Joe Henry is doing well with my sister. He is a most handsome dog, just like his dad. I found you through the other site. Loved looking at the pictures of the dogs and realizing that this breed was not for me in the city (sob)– my dog was wild enough!!! I loved this post Carol. As I only found you mid 2014, it gave me more of your story of ranch life and your English Shepherd dogs. Thank you.